"Elements Of Frictions" available Dec 15, 2014! Next up is the promising band, Horyzon, who will be releasing their 3 track EP through Lions Pride Music as well in June. The AOR band Horyzon was conceived by Daniel Vargas (Lead Singer) and Ari Gomes (Bass). The band has influences from renowned bands such as Journey, Kansas, Asia, FM, Toto, Survivor as well as from more recent bands like Work of Art, Pride of Lions, H.E.A.T and Hardline. The band is currently formed by Daniel Vargas (Lead Singer); Ari Gomes (Bass); Leandro Freitas (Keyboards); Wagner Alexandre (Guitar); and Rod Marcus (Drums and Backing Vocals). We'll be putting down the price of the Elements Of Frictions album from 14 USD to 8 USD for the album itself and 2 USD for shipping & handling so a total of 10 USD, this goes for all territories worldwide and is only available thru our site www.lionspridemusic.com and no where else. The front coming debut album by Italian AOR rockers Zaneta, will be made available for streaming sometime next week thru our websitewww.lionspridemusic.com also the band is in the middle of finishing up their music video, which we'll have up once its done. Next week we'll have a song called, Fifteen, with Paul Laine on it, for 1 min streaming. The song was original intended to have been featured on the Japanese edition of Elements Of Fritions. The song will be made available for purchase only thru www.lionspridemusic.com as mp3 file, price 1 USD. 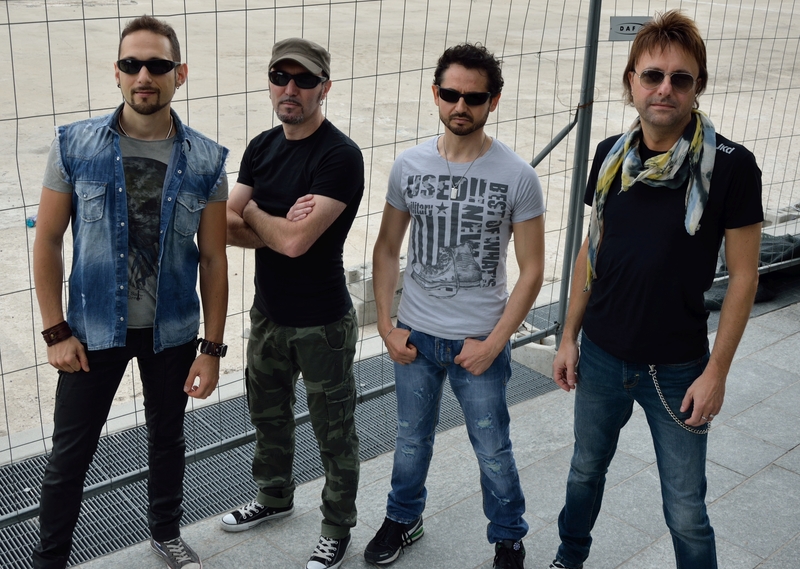 Lions Pride Music is happy to annonce the signing of Italian AOR Rockers Zaneta. ZANETA is a brand new melodic rock band from Italy formed in 2013 by singer Simone Roman, drummer Danilo Marinotti, 6-strings-wizard Fabrizio "Bicio" Leo (first italian guitarist to be signed by Shrapnel Records,3 solo albums and tons of collaboration with the best artists from Italy) and extraordinary keyboards player Steff Brusa (from EVA). Music of ZANETA was born by the passion of the 4 piece assembly for the great AOR bands of the past (JOURNEY,TOTO,GIANT,SURVIVOR) but the influences of the musicians gave the album a special personal sound. The release of "Elements Of Frictions"
The release of Elements Of Frictions It's been in the making for a long time and now it's finally here, Enjoy!. It all began when a long time dream saw the light of day and the first contact was made for this release to become a reality and it quickly went from strength to strength. We have recently launched our Facebook page and need as many LIKES as possible!!! Please share our page with all your friends!